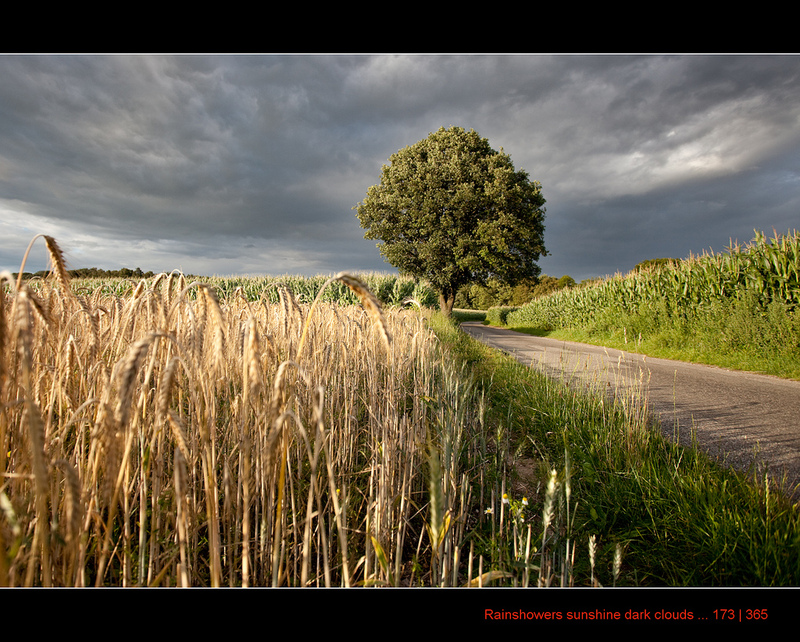 You are at:AgEconMT»News & Posts»Crops»Do Organic Producers Want Crop Insurance? This weekend I had the opportunity to go Gallaudet University in Washington DC to meet with an advisory group of organic advocates and producer group representatives. This particular group represents a wide swath of organic producers throughout the US and has been a real benefit for the 4-year project, funded by the Organic Research Initiative. At the beginning of this project, we set out to better understand why organic crop insurance participation rates were lower than for conventional producers. 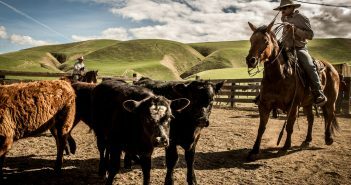 Since the 2000 Agricultural Risk Protection Act (ARPA), federal crop insurance programs directed to organic and diversified producers have expanded in terms of liability, policies, and coverage. As shown in figure 1 [Based on the RMA Summary of Business for Organic Production], the number of crops that offer organic endorsements increased from 4 in 2007 to 79 different crops in 2018. 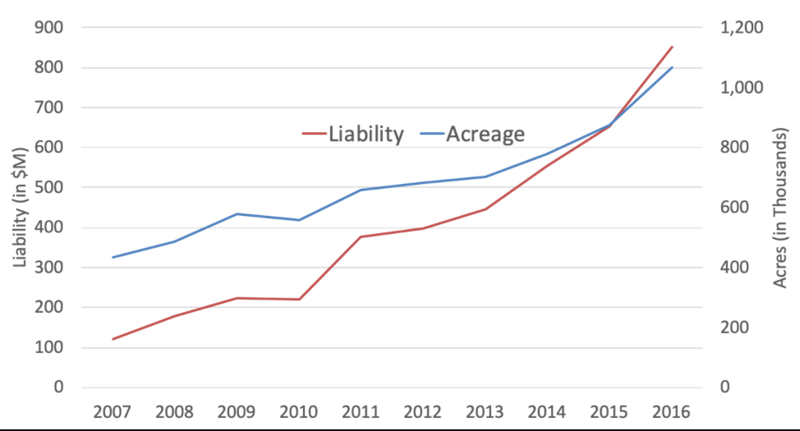 This expansion has coincided with growth in both liability and acres insured for organic production as liability increased from $121 million in 2007 to $853 million acres, while acres insured increased from 434,408 acres to just over 1 million acres from 2007 to 2016. With the help of this advisory group, we were able to distribute a national survey to solicit information on preferences and practices used for risk management for diversified producers with the intent of better understanding any differences between organic and conventional producer decisions. In the end, we collected data on 1,032 producers from a range of different operations. While there are many interesting findings in this survey (don’t worry, more to come), I wanted to focus this post on the main drivers behind crop insurance participation. The main driver behind crop insurance participation seems to be related to the “commercialization” of a farm operation. Using results from a probit regression (see table below), where the dependent variable is a binary variable that equals 1 when the producer has a history of buying crop insurance and a 0 otherwise, we find that when a producer has a history of utilizing bank operating loans they are 12 percent more likely to buy crop insurance. 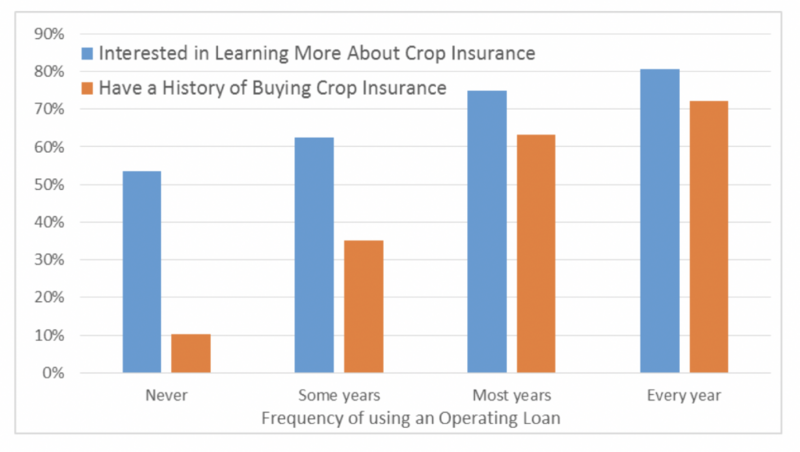 This relationship is also shown in figure 2 below, as frequency of operating loan and crop insurance purchases are positively correlated. The presence of organic certification also appears to positively influence the likelihood of crop insurance participation by 11 percent. Both bank loans and organic certification require good records, which is compatible with crop insurance participation. Other covariates provide some influence on participation, though nowhere near the magnitude of the two prior mentioned variables. Figure 2. 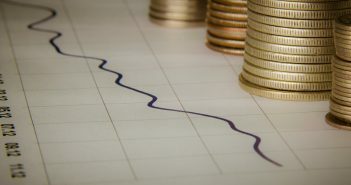 The use of operating loans related to crop insurance purchases and interest in more education. In future posts, I look forward to exploring the survey responses that provide insights into the risk management practices and preferences of both organic and conventional producers. Let me know if there are any particular questions you’d like for me to look into on this matter.